One of the foremost issues today in connected technologies is privacy, and more specifically, who controls personal data – the individual who uses the technology, the company that produced the technology or the government? When it comes to intelligent cars, privacy concerns are heightened since the vehicles are inherently connected to systems that track all kinds of personal and technical information. 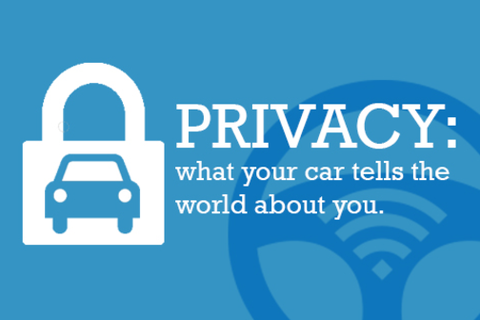 Is the intelligent car the new portal through which your data will be shared with the world? What are the roles of private industry and the government when it comes to automotive data? Anna Laitin is a Professional Staff Member at the U.S. Senate Committee on Commerce, Science and Transportation. She works on the subcommittees that oversee auto safety and privacy, among other consumer matters. Federal agencies within the subcommittee’s jurisdiction include the National Highway Safety Traffic Administration, the Federal Trade Commission, and the Consumer Product Safety Commission. Prior to her Senate service, Ms. Laitin worked for the U.S. House of Representatives Committee on Energy and Commerce and the U.S. House of Representatives Committee on Oversight and Government Reform. Ms. Laitin has a bachelor’s degree from Brown and received her Masters of Public Administration from Princeton. Catherine McCullough works where the worlds of law, politics and media merge to create policy in the field of technology. She was raised in Washington and has worked in politics and policy for over twenty years. She is a Vice President at DCI Group and serves as Executive Director of the Intelligent Car Coalition, a 501c4 organization that seeks to educate on matters related to intelligent vehicle policy. Prior to joining DCI Group, she served as a Counsel for the U.S. Senate Committee on Commerce, Science, and Transportation. There she worked with others to negotiate law for the consumer product, auto, tech, sports and insurance industries. Ms. McCullough is a contributor to The Huffington Post and has written blogs and op-eds for publications such as Roll Call, The Hill, and Real Clear Politics. She has appeared on shows such as The Communicators and on panels sponsored by organizations such as South by Southwest and Politico. She is an attorney and also holds degrees in Journalism and Political Science. Cora Han is a senior attorney in the Federal Trade Commission’s Division of Privacy and Identity Protection where she investigates and prosecutes violations of federal laws protecting the privacy and security of consumer information, and works on related policy matters. She was one of the organizers of the FTC’s recent workshop on the Internet of Things, and her law enforcement actions include the Commission’s settlement with Facebook. Prior to joining the FTC, Cora was an attorney with Wilmer Cutler Pickering Hale and Dorr LLP, where her practice focused on trademark, copyright, and media law. Harold Ford Jr. served five terms in the U.S. Congress representing the 9th district of Tennessee. First elected in 1996, Harold served on the House Financial Services, Budget and Education Committees while in Congress. In addition, Harold was a member and leader of the Blue Dog Democrats in Congress, and was active with the Democratic Leadership Council. Currently, Harold teaches part-time at NYU's Wagner School of Public Service, and is a frequent contributor to NBC News. He is a board member at Lincoln Center, the Posse Foundation, Weill Cornell Medical College and America's Promise. Harold is also an overseer at the International Rescue Committee and a member of the Council on Foreign Relations. Harold earned a B.A. from the University of Pennsylvania and a law degree from the University of Michigan. Harold, his wife Emily, and their daughter Georgia, live in New York City.